Is 200 Hr enough to make you a yoga teacher? …you may be wondering: is 200 hours enough to ensure and prepare you to become a yoga teacher? Strangely enough, as a person coming from the educational background and having spent more than 3 years in training to become a teacher professionally, I had wondered the same! 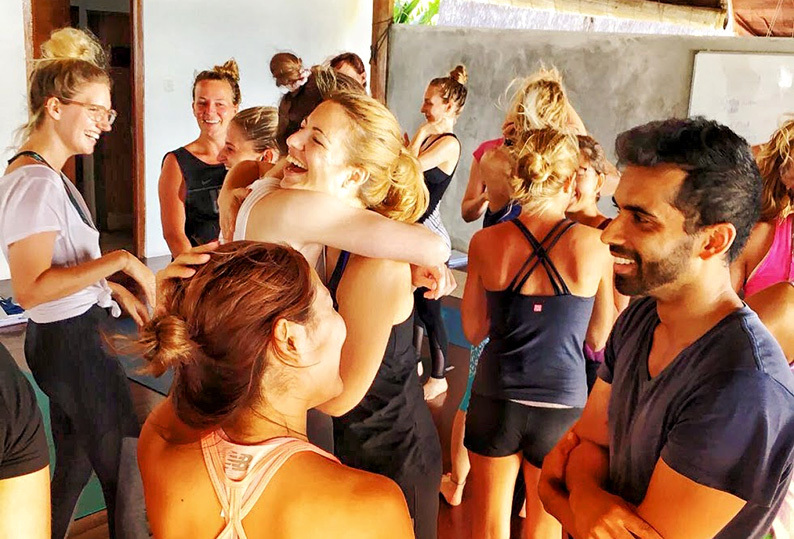 Therefore in this blog post, I would love to share with you about my personal experiences in attending and acquiring the 200 hours Yoga Teacher Training in Ashtanga Vinyasa yoga with All Yoga Training School, especially about what I have learned and achieved from the training. Is the YTT just about physical yoga practice? As an Ashtanga practitioner for the last 2 years, I was pretty much consistent in my self-practice. It went without saying that my beforehand expectations were all about the training guiding me even deeper into attaining the asanas (postures) and getting me into a better practice pattern and discipline. It actually did help me the way I expected it to. However, I also came to realize that, mastering the physical practice may be great, but it is not everything about yoga teaching! In other words, the training was prepared in its best way for me to teach yoga, pedagogically and methodologically. So how was the process of the YTT? The YTT lasted for around 3 and a half weeks, where we began our day at 7.30 am and ended around 7.30 pm. We were introduced to a yogic lifestyle with lessons that covered cleansing, breathing and meditating techniques. We studied about Yoga, Ashtanga yoga with its root and its philosophy, both in history and in modern life. In order to improve our pedagogical understanding about asanas, we had asana clinic and anatomy classes. For methods of teaching, we got to have first-hand experience in partner and group teaching, in giving verbal and physical cues as well as adjustments, in class sequencing, trial teaching sessions and so much more. We could not neglect our physical yoga practices either, which happened twice a day with a focus on Ashtanga Vinyasa as well as a variation of other yoga styles like Rocket, Yin and Vinyasa yoga. There were also Playground sessions for us to hang out with teachers and fellow students, do extra studying or practice, finish our homework, or just to be creative and playful with yoga after intensive study days. Yes, the YTT was demanding, not only time-wise, but also for the massive amount of knowledge we received during those 23 days. But going through the course and embarking myself on different sides of Yoga was, surprisingly, the best way to improve my physical practice. I became more mindful and connected to my own body. With each pose I do, I began to pay more attention to how it actually works and to the sensations that happen in the muscles and the breaths. Most importantly, I grew to be more reflective of my state of mind and the quality of my concentration in the asanas. In this way, I gradually learned to be my own teacher in my own practice. For me, I believe this is the most crucial requirement, before going out and teaching yoga for my future students. This is what the YTT had offered me. …if you are intending to attend the YTT, study and do well for the exams, earn the Teaching Certification, and stop there. By accomplishing the YTT, I have come to understand that this is just the start. I have gained the knowledge, legally been certified, have the ability to create my own sequence and convey it to my students. However, if I just keep doing it the same way, my teaching would start to lose its magic! Here is to stress that the most wonderful lesson I have learned from my trainers is that – as experienced teachers, they never stopped learning. Verbally and mentally, they reminded us to keep being a student at heart, at any time, anywhere, in any situation and with every person we may encounter in life. Practice consistently and learn from our own practices; keep teaching and learn from our students in classes; enjoy going to more yoga classes and learn from other teachers; be mindful, positive and learn from the goods and bads that happen in our everyday life. That is to say, the 200 hours YTT would give me a solid foundation to be a yoga teacher. But it takes my continuous efforts and conscious attitude to keep building and improving on the foundation that I was given. In addition to its professional orientation value, the training also has a mending effect. It is not strange to say that not everyone attending the YTT wants to achieve the same goal of becoming a yoga teacher. But for many of us, we left the training looking back at it as a life-changing experience, both professionally and personally. Not so often would you feel like home living in a completely new place (for many people and for me) that you have never been to. Because the training offered a unique environment to be surrounded by like-minded people who share the same interests and passion for yoga, it felt comfortable and at ease. We may not share the same goals in life, but being together in one place doing the same thing almost every day connected us together. Relationships being built and strengthened between individuals from all over the world. We got to know each other, shared our perspectives, beliefs, thoughts and emotions during the course time. This period of time gave me the genuine opportunity to step out of the mental zone that I labelled Difficult and gradually walk into a new shift into an emotional thinking pattern. It turned out to be the best medicine that helped me create a calmer and more positive attitude towards myself and the world. Mindfulness is one of the most amazing gifts I learned from the training. Moreover, it would enhance the connection between me and the students, who of course do not come from the same place as I do. Being a more stable and open version of myself, I am now confident to try out different classes; and to be more observant, tolerant and patient in my teaching. Needless to say, the 200 hours YTT gave me access to many necessary insights, abilities and skills for yoga teaching. However, this was just the taste of much more wonderful knowledge that is awaiting me. The training was, as said, just a beginning of a much greater and exciting journey on teaching and learning. But if it was not for this 200 hours training, I may never know what is needed to learn, which alternative options are there for me or which step to take first. It is, in other words, an essential beginning. I am grateful for my decision to join the YTT, for the lessons I have learned and the beautiful memories that have been created along the way. Embracing this remarkable experience with me, I am more than eager to share my passion for yoga to others, may it be my family, my friends or my students. Now as it may be your time to find it out on your own, I wish you the most awesome experiences in your next 200hrs YTT, just as I did! 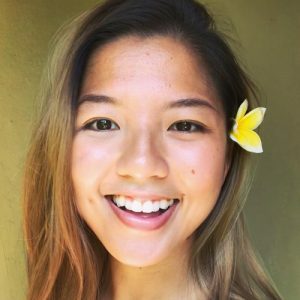 Doan has come across and developed her love for Ashtanga since 2015. Taking a decision to attend the 200 hours YTT in February 2018 was a remarkable experience as well as a further step towards her journey of sharing the passion for yoga. She is also an Acroyoga enthusiast, trying to balance out the traditional aspect of her practice and bring more fun and creativeness to her teaching. Having completed her study in Norway, Doan has Preschool Education as her professional background. As what she had learned from teaching children, she desires to bring the same patience, mutual respect and understanding connections into her yoga classes, where students can feel encouraged and comfortable in their bodies and practices.